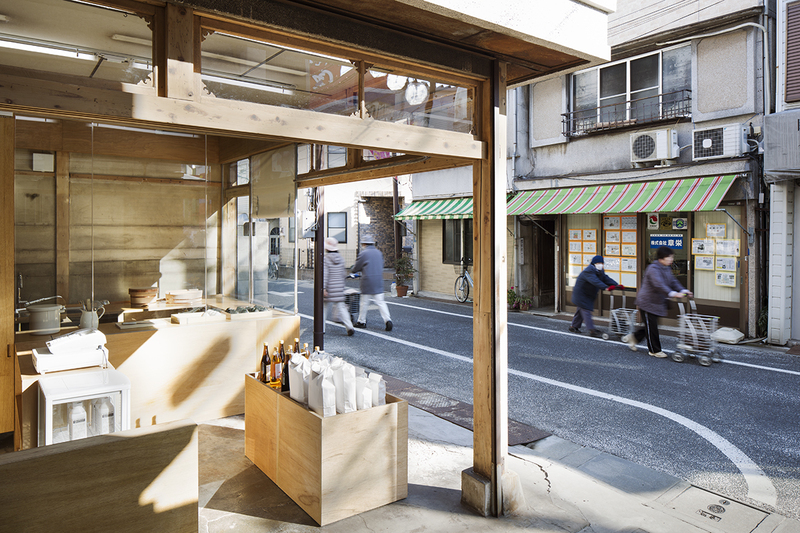 This rice shop is located on a modest-sized shopping street spanning 300 meters between the main shopping area and Togoshi Koen station. The street used to prosper with an array of small individual shops, but it has declined substantially and many shops had been closed down. As a consequence, the street is increasingly filled with closed shutters. 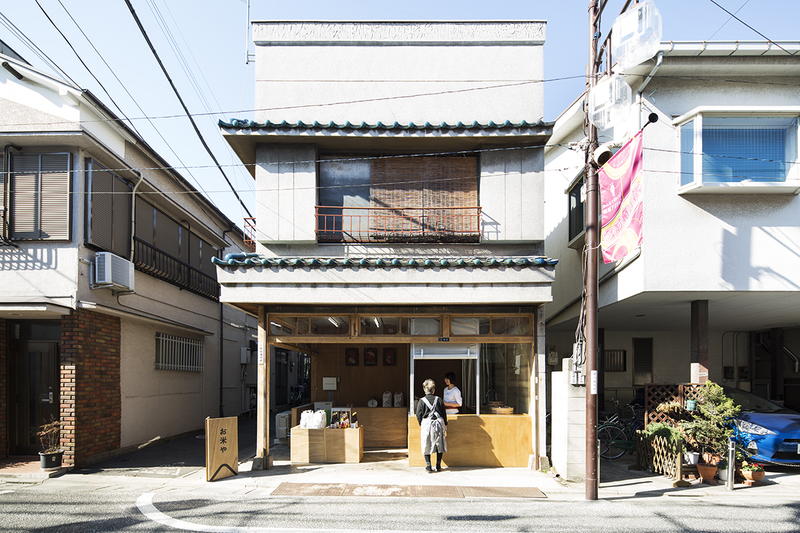 If no measure is taken against the declining condition, it would eventually become a so-called “shutter street” and the shopping street would disappear. 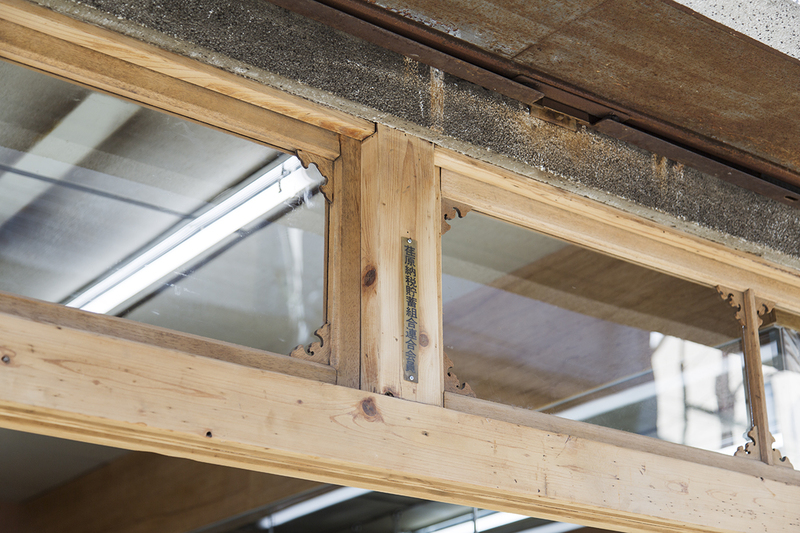 A local team, Owan Ltd., is striving to reactivate the shopping street. They operate MR. COFFEE,aroastery/coffee shop, and PEDERA BRANKA, a café, on the same street. 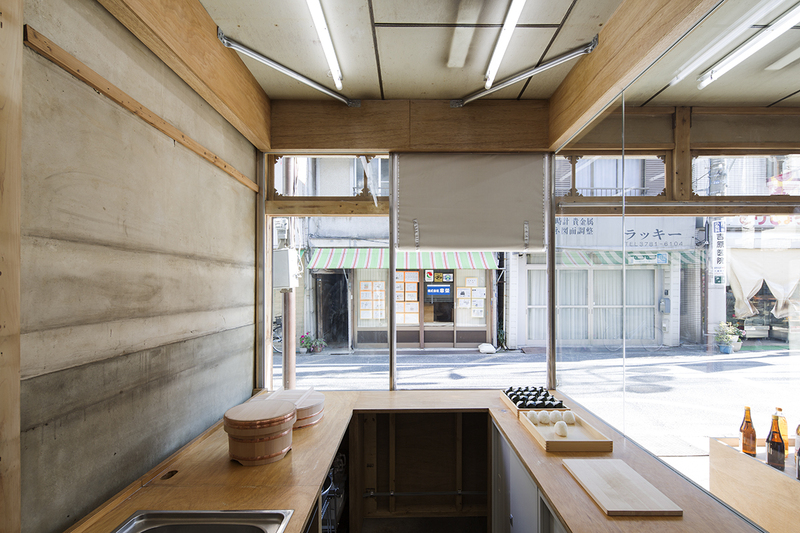 Owen wanted to open a rice shop, and Schemata Architects was commissioned to renovate a wooden building which used to be a vegetable shop closed in 2014. 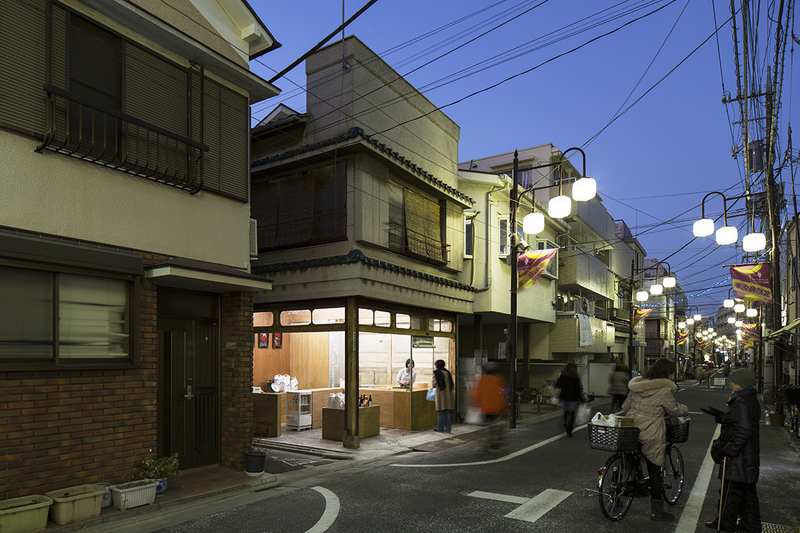 The building has the typical layout where the shop space faces the street and the residence of the owner is located in the back. 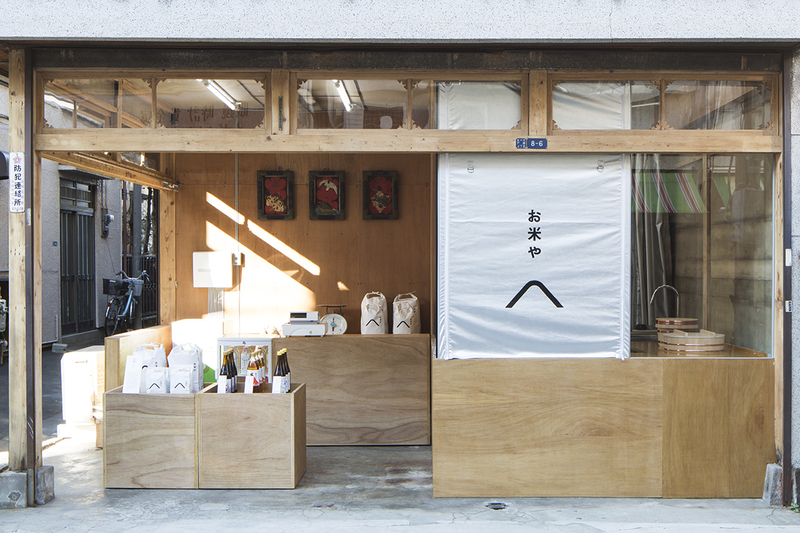 The shop space is very small, approximately 16.6 m2 in floor area, and they cannot expect to sell a large amount of products there. However, they said, “We don’t need a big shop. 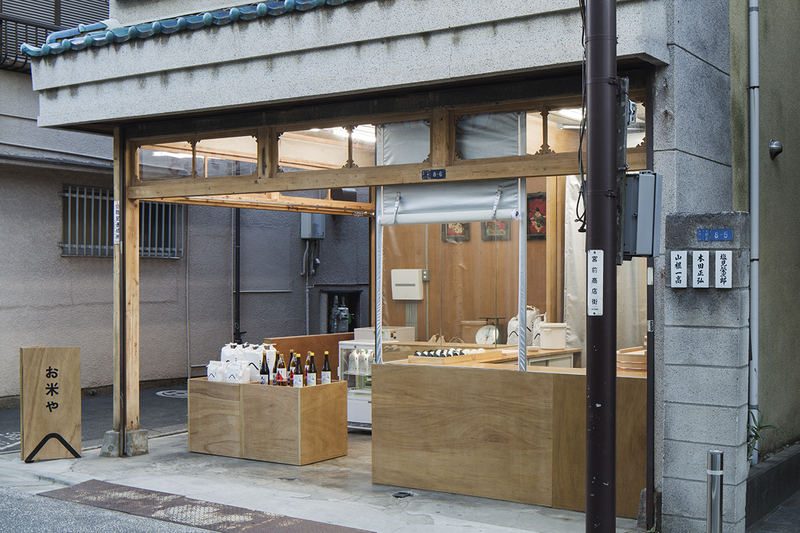 We would rather have a modest-sized shop to maintainone-staff operation.” Therefore we planned the shop according to their request. 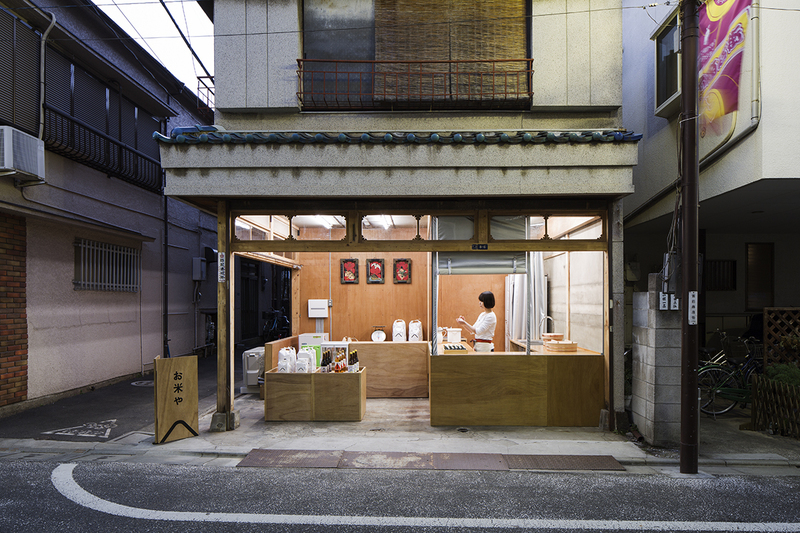 Mutually supporting relationship with the neighboring shops is the key to sustaining this small shop. 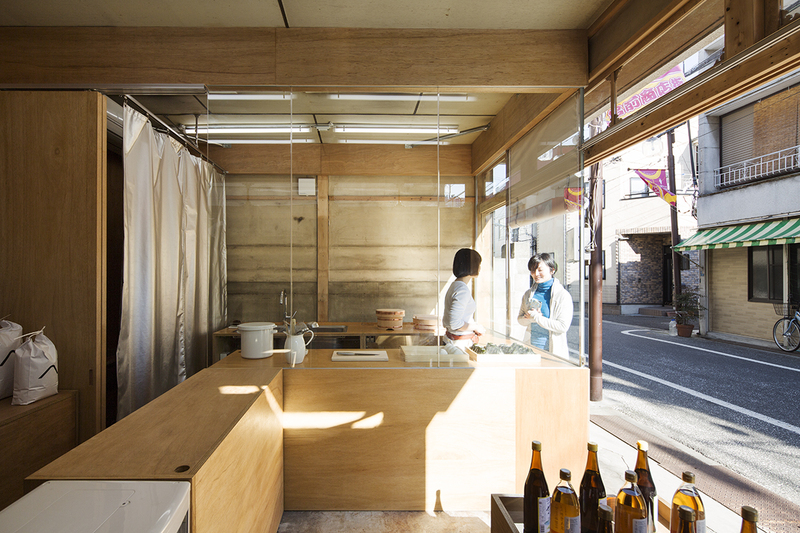 When the staff has to leave the rice shop briefly, the neighboring shops can keep an eye on the shop. Such “small help” between shops is crucial in maintaining small-sized businesses on local shopping streets; these small shops are supported by the shopping street, and simultaneously the shopping street is reactivated by their success. 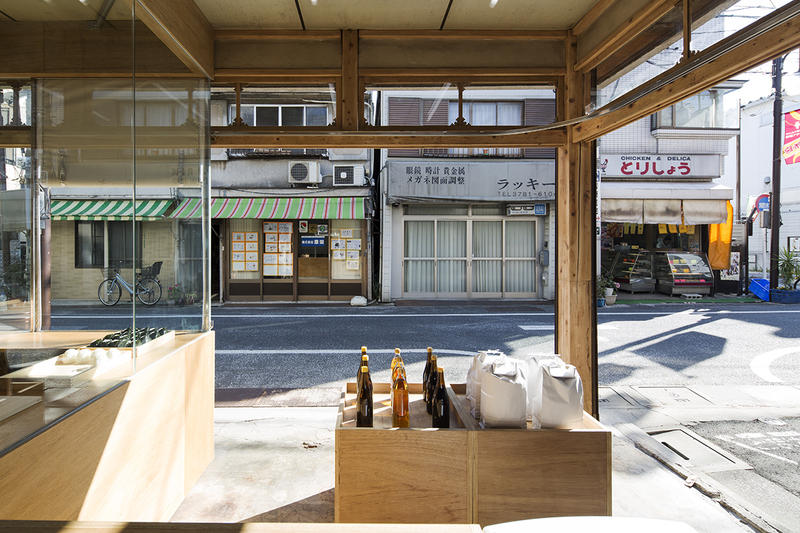 We intend to propose such mutually supporting relationship in this shop design.